MOST bird and swine flu deaths in humans occur due to an inability to breathe. It happens because the body, in its effort to kill the influenza virus, elicits a frenzied immune response which causes severe inflammation in the lungs. This leads to lung damage and hindered breathing and in most cases death. Treating the disease gets difficult day by day as flu viruses evolve rapidly. New viral strains are unaffected by any immunity that a population may have developed against older ones. Researchers led by Kari Ann Shirey and Stefanie N Vogel of the University of Maryland in the US have now taken a new approach to treat the disease. Instead of the ever-evolving virus they are targeting human body’s immune response to the virus to prevent flu-related deaths. And they have found a drug which does just that. Still under pre-clinical trial, eritoran has been found to greatly reduce lung inflammation and deaths in mouse models infected with swine flu viruses currently circulating among humans—H1N1 and H3N2. The treatment also suppressed the genes that cause inflammation. “Our data suggests that eritoran blocks the cytokine storm induced by influenza by reducing the generation of oxidized phospholipids derived from host cells,” says Vogel. The study, published in Nature on May 1, shows eritoran works against flu and other respiratory infections in isolation as well as in combination with existing treatments. “This pre-clinical study proves that eritoran is effective against influenza in mice. It is different from current anti-influenza therapies and might be very useful because it is still effective when given after six days of infection,” says Hongzhou Lu, a professor at the Shanghai Public Health Clinical Center at Fudan University in Shanghai, China. “Although this study showed a positive result, it still needs validation in humans,” says Hongzhou. According to D T Mourya, the director of National Institute of Virology in Pune, different influenza strains can behave differently due to a difference in their ability to cause disease. Thus, the drug needs to be tested against the latest Influenza virus H7N9 also. 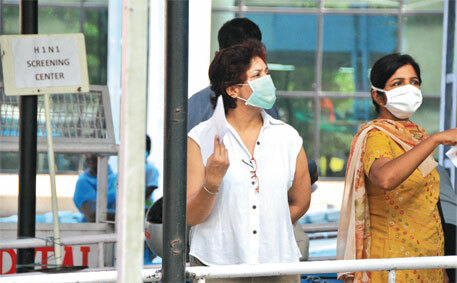 “People in India are at as much risk as elsewhere due to the newer emerging influenza strains, says Mourya.